Cape Town - Ratings agency Fitch has given South Africa a narrow window to demonstrate further concrete implementation of reforms, National Treasury said on Wednesday. It emphasised that these reforms are already underway and aimed at "turning around the growth path and placing public finances on a more sustainable path". Treasury welcomed Fitch's decision to affirm SA’s long-term foreign and local currency debt at "BBB-" and "BBB" respectively, following a downgrade announced in December 2015. The foreign currency bond rating, therefore, remains one notch above sub-investment grade and the domestic currency bond rating remains two notches above sub-investment grade. According to Fitch, affirming the "BBB-" rating with a stable outlook reflects low gross domestic product (GDP) growth trends, significant fiscal and external deficits and debt levels balanced by strong policy institutions, deep local capital markets and a favourable Government debt structure. "Once again, this rating outcome demonstrates that during difficult times, SA – Government, labour, business and civil society – can work together to achieve a common goal," Treasury said in a statement. "Government is grateful to all social partners for their efforts towards achieving this positive outcome and urges everyone to continue this close working relationship over the challenging period ahead." Treasury takes note of a couple of risks highlighted by Fitch. The ratings agency is of the opinion that these risks could lead to the rating being lowered. "Government is mindful of these and fully aware that the next several months are critical. We are stepping up the implementation of the 9-point plan and other measures to boost the economy," Treasury promised. It said it is "redoubling" its efforts aimed at restoring confidence and boosting investment among local and international investors, unblocking obstacles to faster employment growth in key sectors and undertaking fiscal, state owned enterprise (SOE) and regulatory reforms. "President Jacob Zuma's meeting with the minister of finance and senior Government officials this week was an expression of Government’s commitment to accelerate implementation of growth-inducing measures and strengthen cohesion in government," Treasury emphasised. "Fitch’s decision is testament to the fact that despite the structural constraints we face, SA remains an attractive investment destination relative to its peers." Treasury regards SA as a country that has very liquid financial markets and a well-capitalised banking sector, complementary monetary, fiscal and exchange rate policies, massive natural resource base, as well as strong and transparent macro institutions. "SA continues to play an important role in supporting development in the African continent. 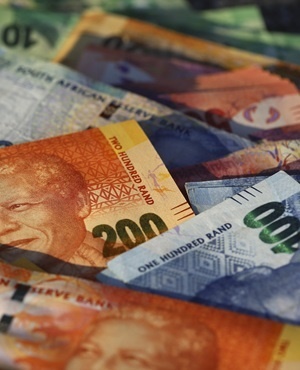 These are some of the factors that have enabled the SA economy to demonstrate much greater resilience in the face of exceptionally difficult global and domestic economic conditions," Treasury concluded.